NEW YORK, Feb. 5, 2019 – The WNBA announced today that Christin Hedgpeth has been promoted to WNBA Chief Operating Officer, effective immediately. 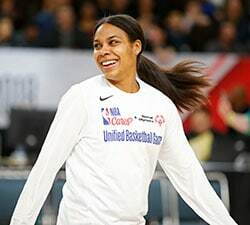 Hedgpeth had been serving as the league’s interim COO since October 2018 and will continue to oversee WNBA strategy, business development and marketing functions. She will report directly to WNBA Interim President Mark Tatum. Hedgpeth previously served as Vice President, Team Marketing and Business Operations (TMBO) for the NBA, consulting with WNBA and NBA teams where she provided strategic support to WNBA teams in ticket sales, sponsorship and marketing, while also helping NBA teams drive their youth basketball and overall branding initiatives at the team level. 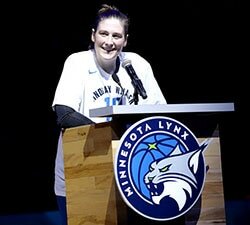 During her tenure in this role, WNBA team sponsorships grew nearly 30 percent. Prior to joining the league in 2014, Hedgpeth held a series of leadership roles with Under Armour, Spalding and Russell Athletic, where she was responsible for business strategy, P&L management, and brand marketing initiatives. 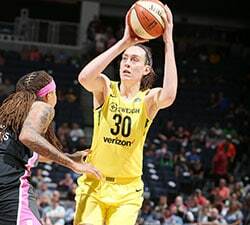 Hedgpeth was a starter on Stanford’s 1992 National Championship team before playing three seasons in the American Basketball League (ABL) for the Seattle Reign after she helped launch the league as Director of Player Development. A native of Thomasville, North Carolina, Hedgpeth earned her undergraduate degree at Stanford University and her MBA from Duke University.